With a thermal conductivity of 205 W/mK, aluminum is the most common material for extruded heat sinks. Another benefit of aluminum is its light weight and high strength-to-weight ratio, which makes aluminum heat sinks more cost effective and easier to extrude than copper. Aluminum heat sinks are common in the manufacturing of computers, motor vehicles, home appliances, and other electronics. Copper is one of the most thermally conductive material choices for extruded heat sinks at 401 W/mK. Copper is also resistant to corrosion, making it a popular material for heat sinks in industrial facilities and electronics. The primary drawback of copper is its density. Copper is three times denser than aluminum, making it heavier, more expensive, and much more difficult to extrude. 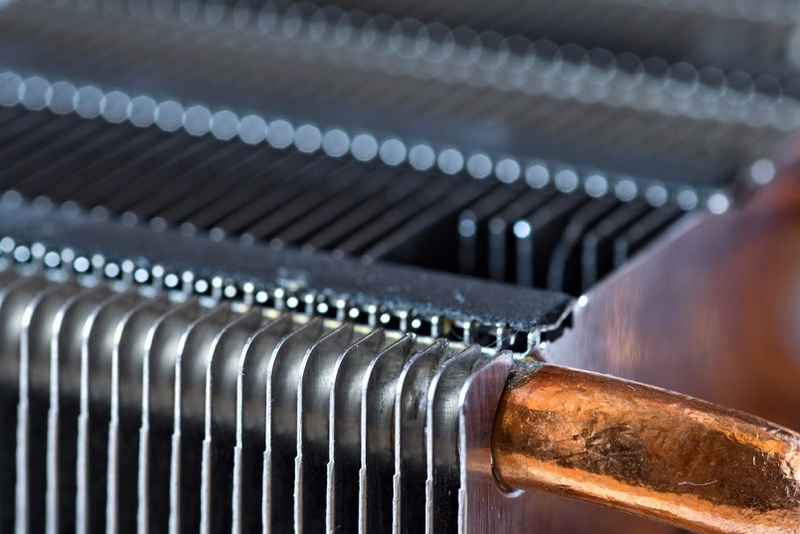 Some companies aim to mitigate copper’s cost and density by plating aluminum heat sinks in copper. This design presumably combines aluminum’s low cost and light weight with copper’s high conductivity. In practice, however, the copper plating often falls off or loosens from the underlying aluminum and causes long-term problems. Steel is a common material for metal extrusions due to its high strength and formability, but it makes a poor heat sink material. With a thermal conductivity of only 44 W/mK and low corrosion resistance, steel is not recommended as an extruded heat sink material. Graphite composite is a relatively new heat sink material on the market that is 30% lighter than aluminum. However, graphite heat sinks’ thermal performance rate is 12% lower than aluminum’s. They are also much more fragile than metal heat sinks and often require a metal base to perform effectively. Given these limitations, graphite composite heat sinks are useful only in a small number of applications. Do You Need an Extruded Aluminum Heatsink Manufacturer? If you need more information on extruded aluminum heat sink manufacturing for thermal management solutions, contact Getec Industrial online or call us at 888-000-8499.